Every year, multiple retailers duke it out for worst outage of the online holiday shopping season. This year, as companies are prepping for the Black Friday traffic onslaught, we thought it would be fun to get ahead of the game, asking folks now about failures they anticipate next November. To learn more, ScaleArc ran a quick "Christmas in May" survey, asking which retailers people expect to be impacted. It turns out that the majority of Americans (52 percent) do indeed expect that a top retailer will have an online meltdown during this fall's holiday shopping season. So often the database is the culprit – it's the hardest part of the technology stack to scale, and even when it's got resiliency built in, it's hard to enable apps to leverage that automatic failover. 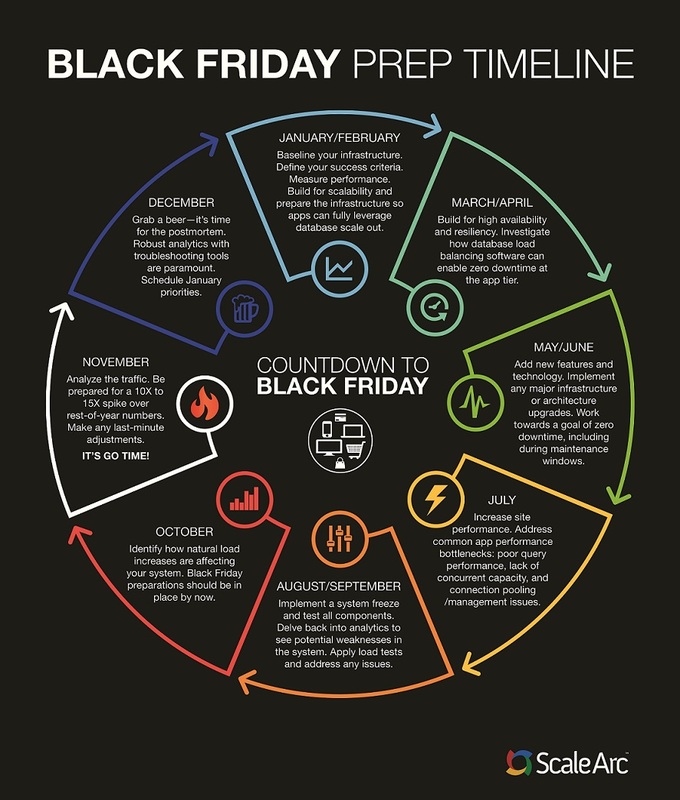 Now's the time to make sure your IT team is taking all the steps they can to avoid downtime during the Black Friday onslaught.